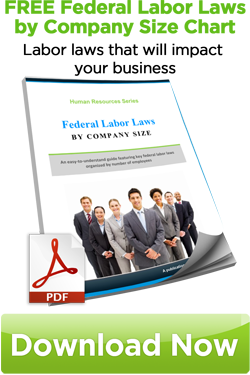 Special Note: Federal and state employment laws, requirements, forms and posters can change frequently. In addition, your situation may require application of federal and state laws, as well as coordination with your own company policies. As such, the sample forms featured in the Forms & Policies sections are for general reference use only and should not be used without first consulting an employment law attorney or HR consultant. Also, please be sure to review your state's requirements in the State Laws section as well the posters required by your state. The following is a listing of online resources for a broad range of government-required forms and posters.